Leading telcos are well under way with their Digital Network Transformations. And for wireless carriers, 5G is a big impetus to update the entire network. Digital Network Transformation that involves the core, datacenters, applications and services, and most layers of the OSI model. Today’s meeting examines the current state of Network Transformation, the available technologies, the upcoming tech, and the recent successes. Consumers are seeking faster wireless, rich media, and low-latency, as well as new services over the network. Enterprises are looking for agile networks, intelligent edge options, and with a host of compatible services that can be offered and provisioned rapidly. Network operators are seeking to meet those demands with Software-Defined networks that are more efficient, automated, running on virtualized systems, scalable on demand, and ultimately lower cost. Service providers need shift from selling technologies (like MPLS) and instead sell..well…services. That’s why the industry as a whole is contributing towards Digital Network Transformation. It lowers costs, improves reliability, accelerates time-to-new-services, and allows much lower barriers to trial of new solutions. We expect telcos to continue investing heavily in transformation, and the vendors to be building on their product offerings. Our meeting will highlight the state of the art, the state of the transformation, and what’s to come. 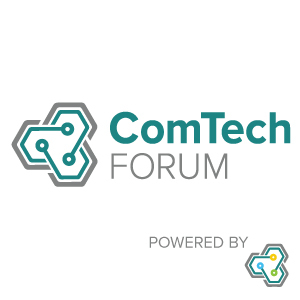 Join ComTech Forum members and guests to discuss the state of network transformation and discover startups that are pushing the industry forward. 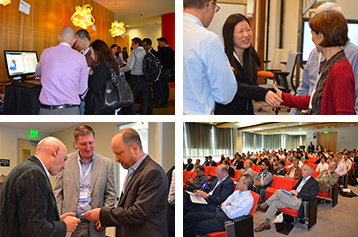 Monthly ComTech Forum meetings gather communications industry professionals who represent vendors, telcos, investors and startups focused on innovation. This month’s meeting is a condensed 2-hour agenda with facilitated networking and introductions, interactive discussion, technology demo tables, and rapid fire startups pitches. Speakers: ComTech Forum reviews speaker applications for this and future meetings on a rolling basis. We encourage new companies and products to submit an application. Demo Tables: Innovative solutions can use a Demo Table during the networking breaks. Tables are available for $500 in online registration first-come, first-served. Attending: Registration is included in ComTech Forum membership. Non-members may register for $200. Companies active in communications innovation can learn about ComTech membership at www.comtechforum.com. Sponsor: For the cost of coffee or lunch for 50 people, sponsors promote their technology and their brand. Email council@telecomcouncil.com for details. Host: With a 50 person conference room, you can host a meeting and bring the industry to you. If you are interested in annual membership, sponsoring this topic, speaking on this agenda or demoing your startup, please use the links to the right or email comtech@telecomcouncil.com.